Just before the Holidays I produced another photo collage of Arizona Insects, bringing the number of available posters to four. This time I chose another huge group - Moths. 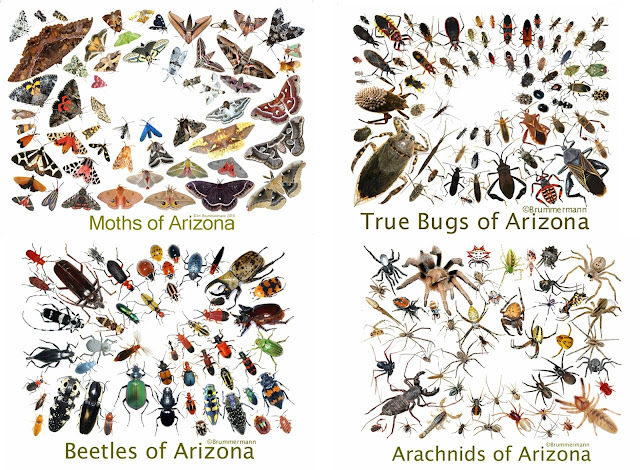 We have thousands of species here in Arizona. They are so attractive that collectors come from all over the world. I see is no ethical problem with collecting. Insects, like many other animals, may be declining in numbers, but not through collection, but through the loss of habitat climate change. 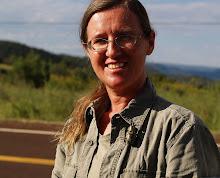 Collectors can actually help us to know more about insects and thus are invaluable to conservation efforts. We can only effectively protect what we understand. My moth poster is supposed to raise awareness on a very basic level: I selected large, colorful species to show that moths are just as beautiful as butterflies, a group that so far has a much greater appeal to the general public. 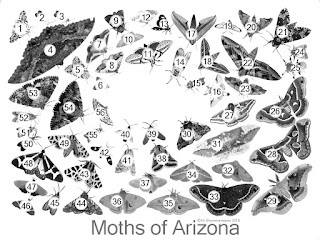 So I left out the rare ones and the micro moths (which are so intricately pretty that they deserve a poster of their own) and went for bold patterned Northern flags, huge Black Witches and soft, slow-flapping Silk moths. It worked, the poster was a hit from the release. Az sales tax applies within AZ. To achieve a more elegant, less poster-like look, prints are also available without the text. On January 3, 2017 I will give a talk 'Where and when to find Insects in AZ' at the Maricopa Audubon Meeting in Scottsdale, and I'll have posters for sale there. On January 21 and 22 I will be at the La Encanda shopping center with my art work, both watercolors and insect posters. Please stop by, it's a great art show in a beautiful courtyard. La Encantada is on the NW corner of N Campbell Ave. and E Skyline Drive in Tucson, AZ.